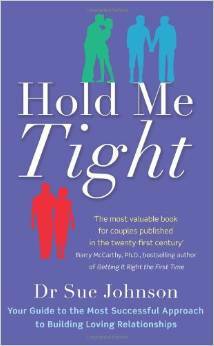 ​​Hold Me Tight® presents a streamlined version of EFT. 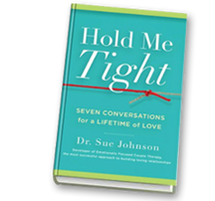 It walks you through seven conversations that capture the defining moments in a love relationship and instructs how to shape these moments to create a secure and lasting bond. Case histories and exercises in each conversation bring the lessons of EFT to life. ​You can buy the book, kindle book and /or audio book. You can also attend HMT groups - these are gradually increasing across Britain and the details of some of them are here. You can also access the online HMT course and be led by Sue Johnson, the developer of EFT and HMT, at your own pace in your own home - click here. Recognising Demon Dialogues—In this first conversation, couples identify negative and destructive remarks in order to get to the root of the problem and figure out what each other is really trying to say. as demonstrations of renewal and connection. Knowing how to find and offer forgiveness empowers couples to strengthen their bond.